These are great for Renaissance, early American, Eastern longhunter, as well as fur trade and civil war. Ask about wholesale, minimum 3 dozen per order, call for dealer prices. 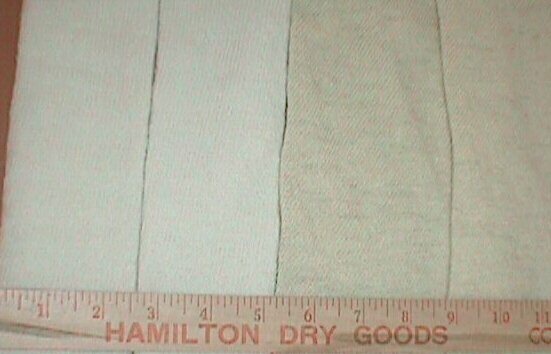 Wool socks in off-white only. Knit-in heel. These fit both men and women, and, like all of our socks, are over-the-knee. 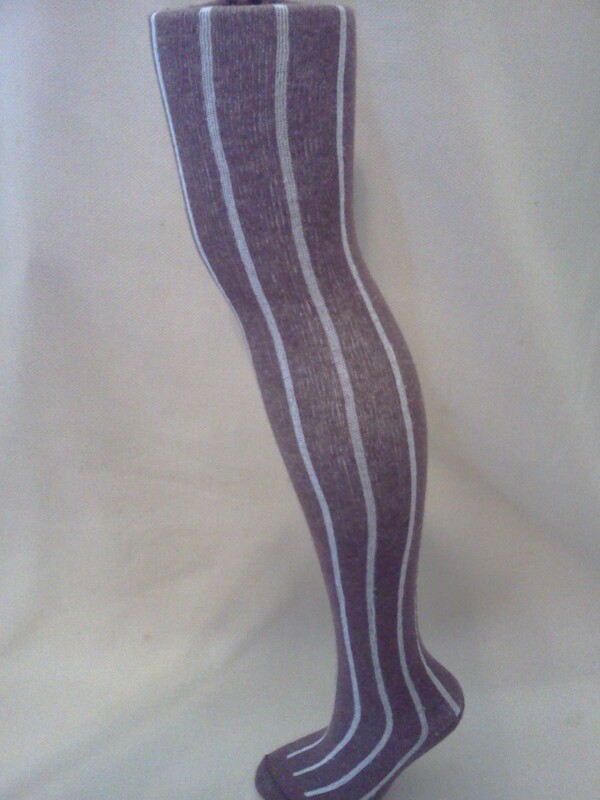 Made in USA , this sock has a great homespun look to it. 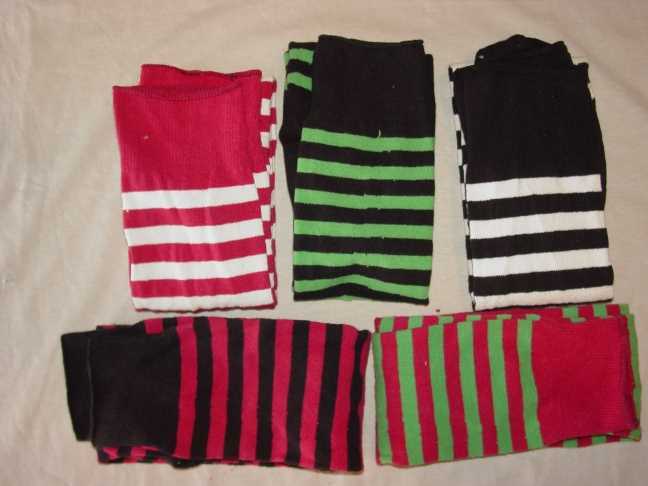 These are just a few of the colors available; many more striped knee socks in stock. New colors coming in weekly. If you don’t see what you want, please contact us and we’ll try to find it. You can mix and match these, your choice of colors. 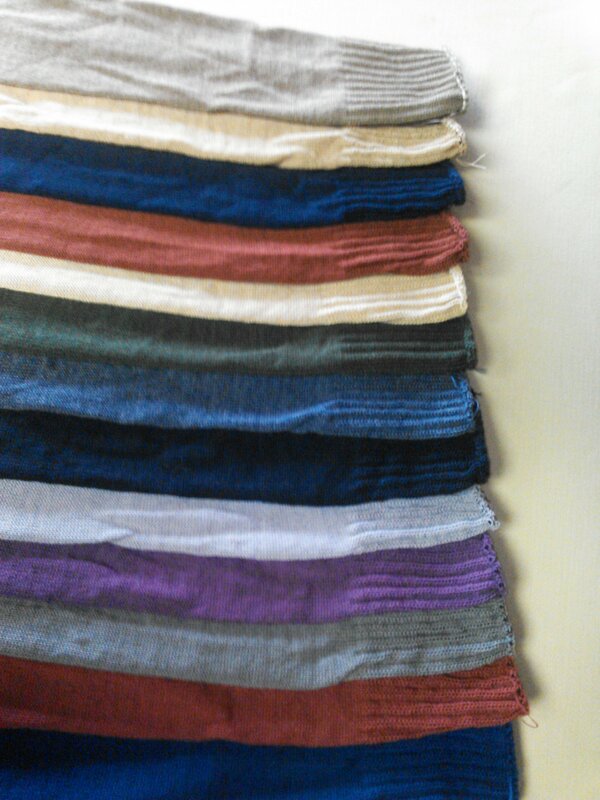 Several great colors to choose from, above the knee and fits many sizes. Made in USA. 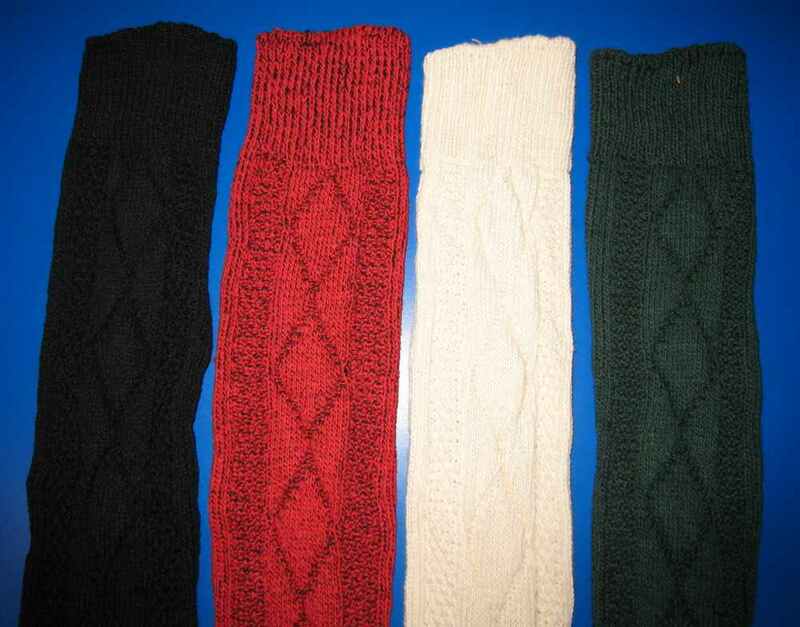 Cable knit style in natural, dark green, black, and red with black heather. Rib knit style in natural, tan and black. 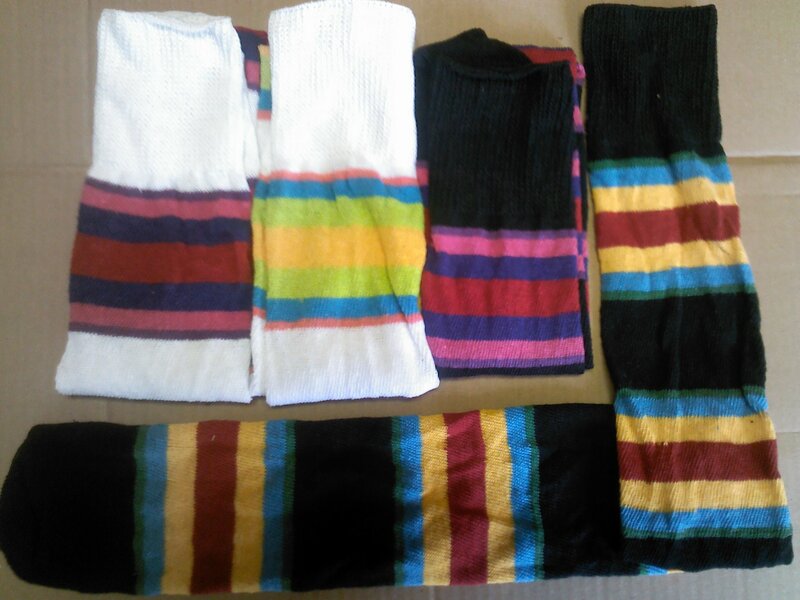 Extra-extra-long cotton socks. Great for Scottish games, or any highlander event. These are extra stretchy to fit most legs. 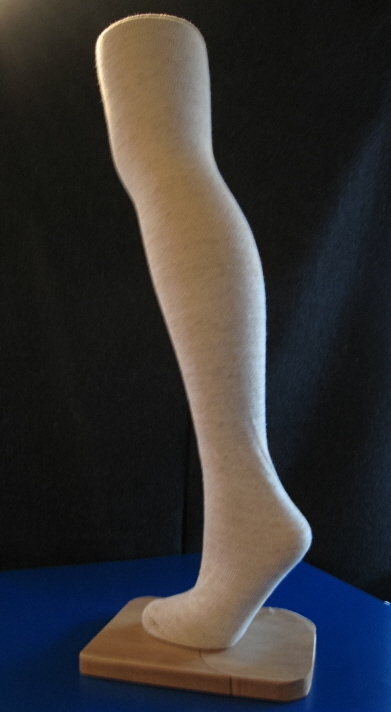 Lycra Cotton – Over the Knee – Thigh High Socks These are extra stretchy to fit most legs. 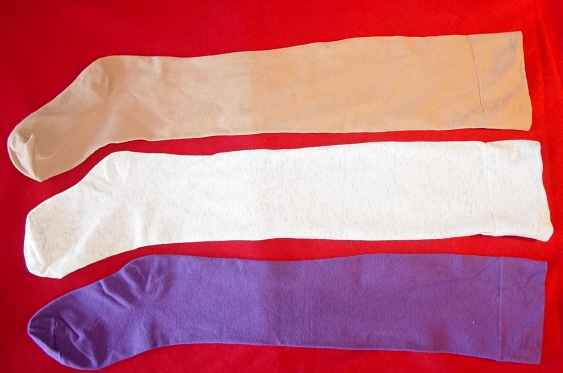 Colors available: white, natural, tan, black; Other colors when available. Please ask. Our Exclusive ! 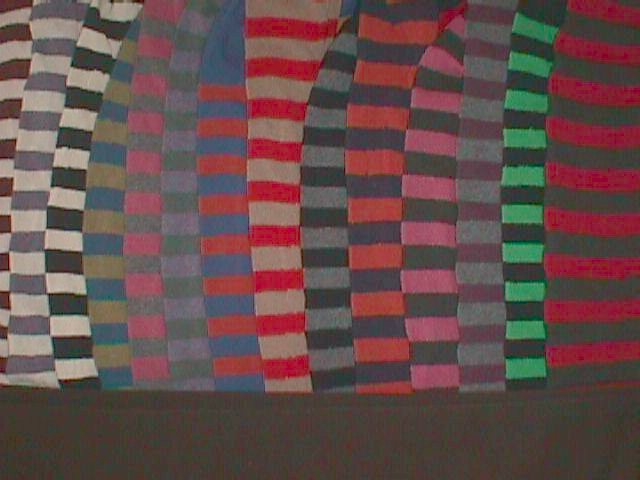 Linsey Woolsey socks, knit with linen and wool yarns. Over the knee, tube style socks (no heel). Natural color with shadings of darker linen throughout give it an old homespun look. These RARE socks are new and are 1st quality.